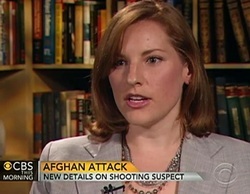 Megan Rose (formerly McCloskey ) is an investigative reporter skilled in narrative storytelling. She's experienced in conflict and disaster zones, including Iraq, Afghanistan and Haiti. She's adept﻿ at filing spot news stories in trying circumstances while still producing in-depth enterprise. In addition to her writing, Megan is a trained photographer and has taken images all over the world. 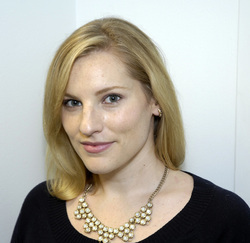 Megan is currently based in New York as an investigative reporter for ProPublica, covering defense issues. She was previously in Washington DC, working as the national correspondent and lead writer for Stars and Stripes, an independent newspaper about the U.S. military. In that role she traveled extensively for in-depth stories on military and veteran affairs, spending time at bases with top officials and at kitchen tables with families across the country to hear what happens when a nation goes to war. She is a frequent guest on news programs to discuss the military issues of the day, appearing on CNN, CBS, NPR and other radio shows around the country. Her investigative work about military suicide has been cited by members of Congress during hearings. Politics and military reporter for the Las Vegas Sun, Las Vegas, NV. Editorial assistant, The Associated Press, Denver, Colo. Cops and courts/features reporter, Daily Camera, Boulder, Colo.
International desk reporter, The Washington Times, Washington, D.C.